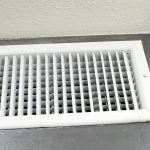 When you have a small child, just about every square inch of your home needs to be childproofed — and that goes for your register vents as well. Children love to pull them up and drop them on their feet, or stick arms and legs down the vents. They also seem to delight in putting a wide range of small toys, bits of food, and scraps of anything down the little slots. When it comes to childproofing your HVAC registers, you can start with vent covers. Some are designed to deter, and some are designed to camouflage. If you want to secure a wood vent cover to the floor, you can nail it to the floor or use wood glue. Metal register covers can be screwed down If you have carpet in place, you can still screw (or hammer down) the register cover — you just need to drill through the carpet and pad first. If you prefer not to cause any collateral damage, you can put velcro strips along the underside or use double sided foam mounting tape on a hardwood floor. Making it hard to lift is a good deterrence. You might also consider simply putting an overturned laundry basket over the vent when a young child is in the room, or gating off the room entirely. Sometimes the best thing to do is hide. You can hide your register vents in a variety of ways, such as putting furniture in front of the vent to keep it out of sight, or placing a low-legged chair over the vent. This will keep the air flow from being completely blocked but still provide a way to hide the cheese, so to speak. If you have a secured register, you still need to deal with the open slits that allow the air flow. Sometimes you can find air filters designed specifically for your register. Or you can purchase those vinyl covers that magnetically attach to metal registers (although these do restrict air flow). If you’re creative, you can fashion a breathable barrier of your own utilizing screen mesh, cheesecloth, or a dryer sheet. Attach these to the edge of your register cover with tape or glue, but allow a little dip, or ‘hammock’ so you can open and close the vents easily. If you have a flat register, you can simply attach the screening material to the floor. It takes a little time and effort to childproof your registers, but it saves you a lot of time and effort in the future! 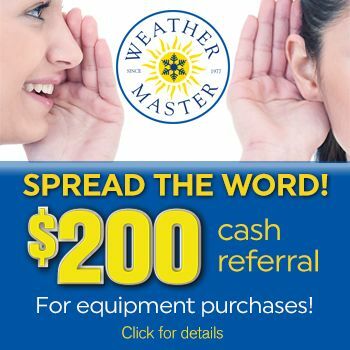 A local HVAC company may be able to provide more tips — or help with retrieving objects that have already found a new home in your ductwork.